Aidan Szabo, a Junior at Hillsborough High School and a member of Boy Scout Troop 186, has recently earned the rank of Eagle Scout. Aidan’s Eagle Scout Project consisted of building and installing 14 Stations of the Cross at St. Matthias Church and mounting donated plaques. Aidan supervised 12 scouts, 4 adults, and several others to complete the work over three weekends and 230 hours. Aidan served as Troop Guide, Senior Patrol Leader, and Historian. He has spent the past five summers at Winnebago Scout Reservation as a Counselor-in-Training, a staff member and working in the Dan Beard Program. Aidan is a member of the Hillsborough High School Varsity Debate Club and Hillsborough High School Chorale. Aidan serves as an example to the youth of Hillsborough Township through his high-level leadership and community service, and we are very proud that he is a member of our community. 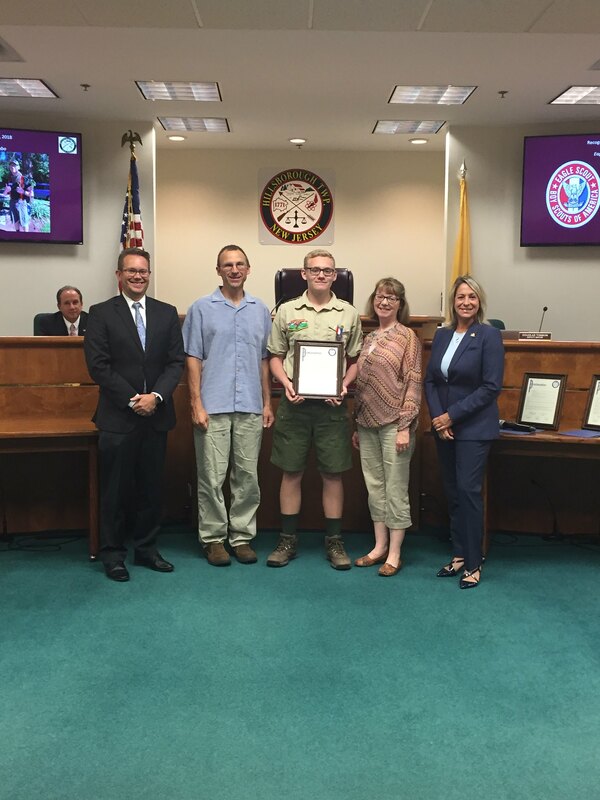 The Hillsborough Township Committee extends our sincere congratulations to Aidan Szabo for having achieved the status of Eagle Scout, an honor for both him and for those who guided him, with best wishes for a bright future.